Alright! Let’s get down to business! I am currently in the middle of a whole mess of projects, and I’m trying to get through them by the end of December. It’s good to have goals, right? Right. At the very least I’ve been banned from starting any more projects. The goal is to attempt machine quilting for the first time. I am deathly afraid of machine quilting. My machine has 5.5″ of throat space and gets a lil testy when I throw a walking foot on it. Having always hand quilted, and in many cases hand pieced my quilting projects, machine quilting is supposed to be a way to help actually get things DONE. 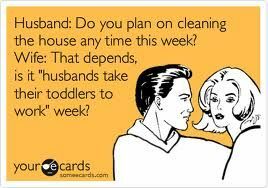 As a SAHM of a three-nager, there just isn’t any time for hand quilting these days. 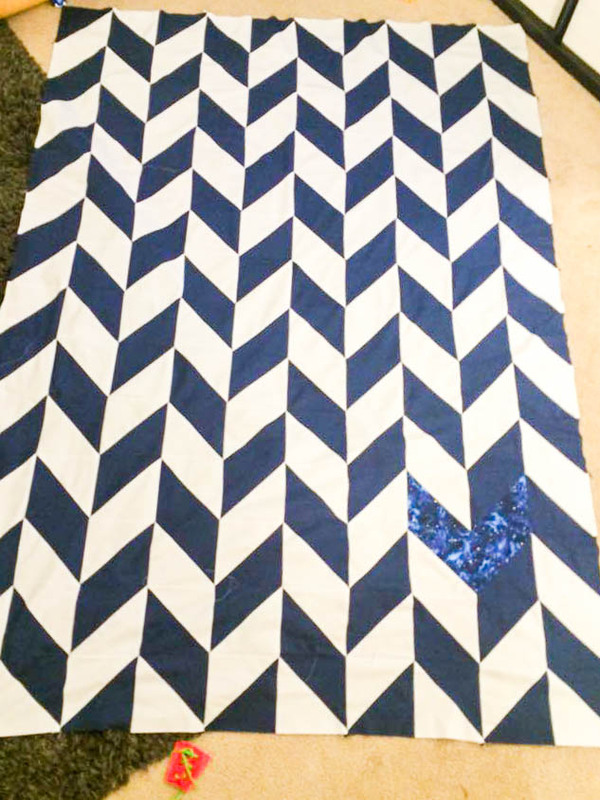 After much research (procrastination), tutorials (procrastination), and trips to the craft store to make sure I have all the tools I need (procrastination and finding new inspiration), I decided on a pattern that would be conducive to stitch in the ditch quilting. I also wanted a pattern that would be good for both a boy and a girl quilt, so I could match patterns without matching colors. I may or may not have made the second quilt top to avoid basting and quilting the first. 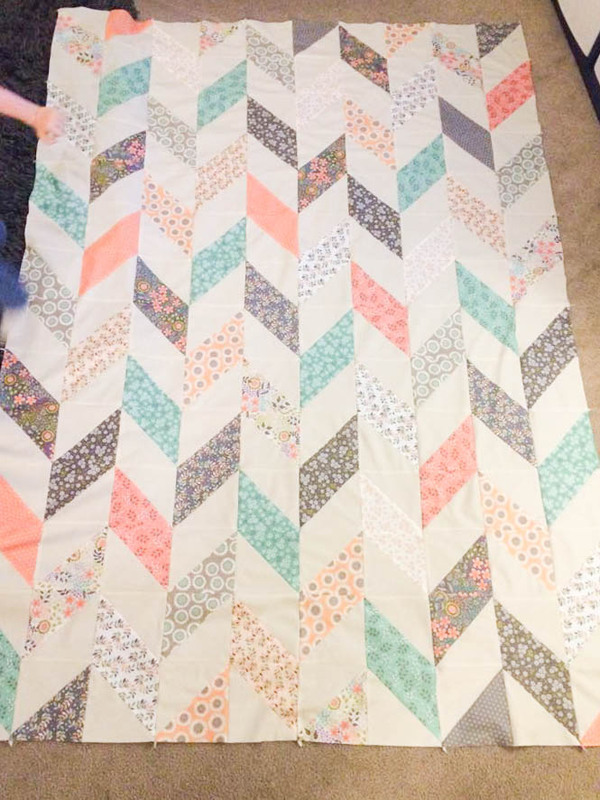 Quilt fronts are just so much easier in my opinion. 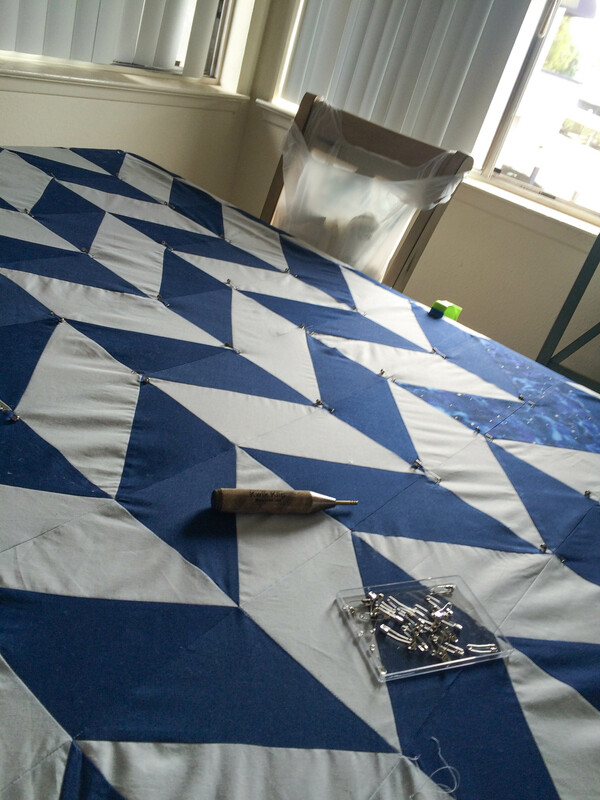 When the fronts were completed, I pin-based the blue quilt with curved safety pins. It didn’t take long to discover my first mistake. Do you see what I see? This is the first time I have used pieces so large, I was not prepared for a difference in stretch between the two fabrics used, especially because I believed I was buying them from the same location and section of solids that they were the same line. I need to be more careful. Fabric quality is a huge deal, and sometimes getting 50% off a cut doesn’t end up being a good deal. Just like everyone else, I see all my errors, and am constantly learning new things. Once basted, I rolled my quilt, held my breath and took the leap. I wanted to show how much I’m not kidding when I say once you are out of baby sized blankets, throat space matters. Nonetheless, when stitching in the ditch, I don’t need perfect, I need to learn. I need to work out all the little kinks. This is still a work in progress, after all. So here’s where I leave you, with a few tips thus far. Quilter’s Clamps make any kitchen table a basting space. I love them. Kwik Klips will save your hands if you pin baste. Imagine sticking yourself with pins a bazillion times in a single day without it. Local shops are your friends. Cheap fabric has unintentional side effects, and when it comes to making blankets or garments you intend to use a lot, an extra $10-$20 is worth not having to remake your project. 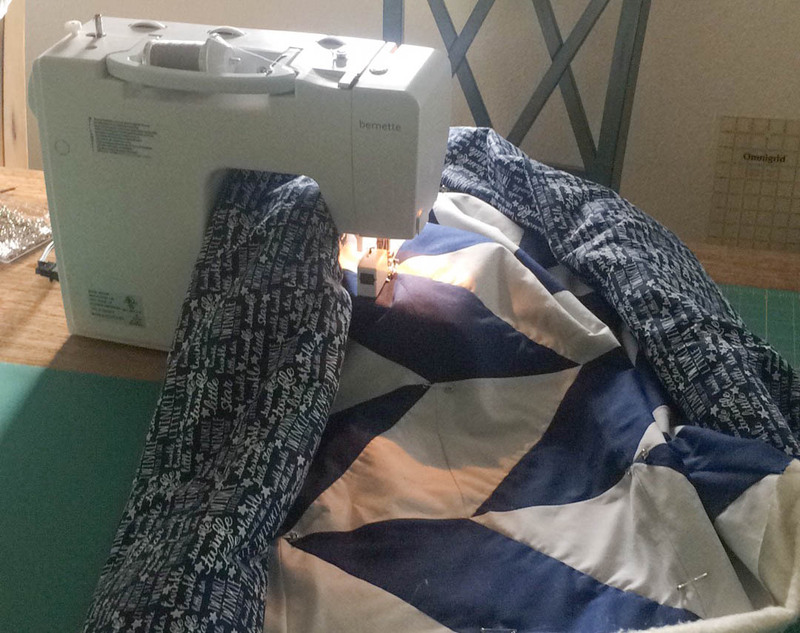 People who free motion quilt full sized blankets on a small machine are a type of superhuman. I would love to just sit and watch and learn. This is a process. Your first attempt is not going to be show worthy, but that doesn’t make it less useful or beautiful when it’s done. Thankfully I love learning! For now, I’m about 60% done with the first set of lines on this quilt, I’ll post an update soon with lessons from my first machine quilting attempt, with pictures.